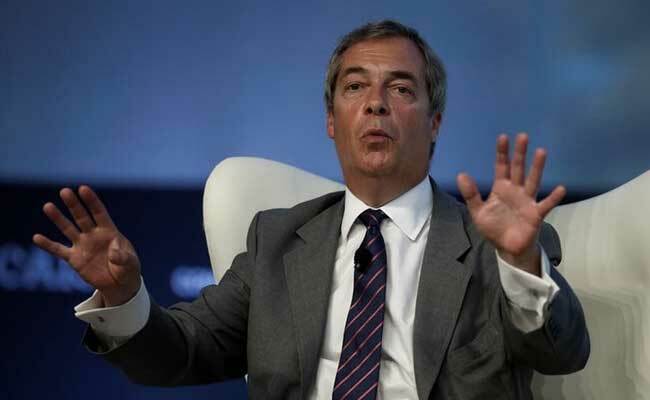 Former United Kingdom Independence Party leader Nigel Farage's links with people connected to Donald Trump's campaign is on the Federal Bureau of Investigation's radar. London: Britain's Nigel Farage, a leading Brexit campaigner, is a "person of interest" in the U.S. investigation into possible collusion between Russia and Donald Trump's presidential campaign, the Guardian reported, citing unidentified sources. The British newspaper said on Thursday that Farage had not been accused of wrongdoing and was not a suspect or target of the U.S. investigation. But it said the former leader of the United Kingdom Independence Party had "raised the interest" of FBI investigators because of his relationships with individuals connected to both the Trump campaign and Wikileaks founder Julian Assange. Farage told the Daily Mail: "I don't believe it, I have no connections. I have never been to Russia. I have never had any business dealings with Russia." CIA Director Mike Pompeo has accused Assange's Wikileaks of seeking to interfere in the U.S. election when it distributed material hacked from Democratic National Committee computers during the 2016 campaign. Pompeo said Russia's GRU military intelligence service had used Wikileaks to distribute the material and concluded that Russia stole the emails and took other actions to tilt the election in favor of Trump, a Republican, over Democratic candidate Hillary Clinton.